It’s only been three weeks since the second UK Run for Congo Women took place on 13 November. It was such a huge success, we’ve already started planning the next. 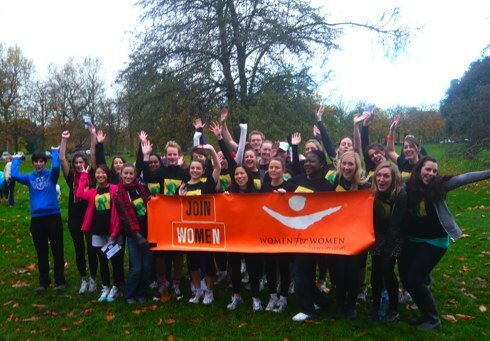 The 37-strong team braved the November elements, refused to be defeated by the hills in Greenwich Park, and managed to raise an unbelievable amount of money for Women for Women International’s programmes in the Congo. Though the team was small, the £11,528 they have managed to collectively raise is huge, and will help so many women in the Congo reclaim their lives from a conflict which confronts them with the daily atrocities of sexual violence and the repeated loss of loved ones. Chris Jackson, who set himself the challenge of running 12 marathons for Congo in 12 months, has also run in both 10k Run for Congo Women races, finishing an impressive fourth in the latest. As well as raising £4,181, he’s recently been featured in The Guardian for his unwavering commitment to raising awareness of the situation in Congo. Another totally committed group of runners also organised their own 10k Run for Congo to take place in Sheffield on the same day. They were running not only to raise money for women in the Congo, but also to fight for the rights of one Congolese woman living in the UK. Odette Sefuko, a human rights activist who fled DRC after a series of attacks on herself and her family, lives in daily fear of deportation because the UK government will not recognise her as Congolese. You can read about the unbelievable journey which has brought Odette to the UK on Facebook and support her by signing this petition. With Run for Congo Women races taking place in two UK cities, it looks like the message is already starting to spread, but there’s still a long way to go. If you’d like to show your support for women in the Congo, you can register to take part in our next London race in April next year, or even organise the first Run for Congo Women in your city. Help us to make the £43,000 total we’ve raised so far keep on growing. And if you can’t come to London, just make Run for Congo Women come to you!